This is part of an on-going series, for all posts in this series see the tag Chrystal’s Story. 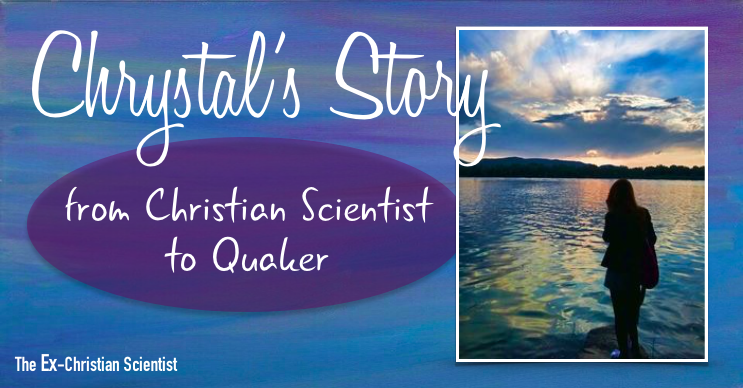 A note from Chrystal: I was born a fourth-generation Christian Scientist, and finally left the religion when I was in my 40s. In this blog series, I will do my best to share with you my 40+ year journey. I have done my best to make the journey sequential, but it’s also themed to a large extent, and sometimes it has been necessary to take things out of sequence to share a theme. Alertness to Duty: “It shall be the duty of every member of this Church to defend himself daily against aggressive mental suggestion, and not be made to forget nor to neglect his duty to God, to his Leader, and to mankind.” – “The Manual of The Mother Church,” by Mary Baker Eddy, Article VIII, Section 6. Christian Science, as far as I have witnessed it, teaches people to victim blame and chastise and judge each other. Any time someone wants to go to a doctor, they have to lie about it – lying by omission. They don’t tell their church family, they are so scared of going to a doctor, and they go because they need care, and don’t have anyone to support them. If they come home and need meals or care at all, they have nowhere to turn. If they admitted, “I went to a doctor,” they might likely be kicked out of the church, or at least ostracized. “If you only prayed more, you would have your healing,” they are told over and over again by people who truly think they are being loving when they are really judging and victim-blaming. I no longer believe in a merciless god like that. I don’t know if I believe in a god or not. I have stripped myself to my core, and have laid everything I have in front of myself, and am examining my inner most beliefs to determine what I believe. At this point, I know I believe in Mother Earth and Father Sky. I see so much beauty in Nature, and so much beauty in the Sky. I love that my Quaker brothers and sisters recycle and compost their food, they push each other to be more kind, to be kind to the earth, to be kind to animals. I love the peaceful protests. I have heard a woman give talks about all the times she was arrested as a peaceful protester – she loved being arrested with her dad growing up. It was something they did. They would peacefully protest war or whatever was wrong, and get arrested and thrown in jail for it. Now she loves protesting with her daughter. I have a new Quaker Friend who is a District Attorney, who works for all the cases of people who are thrown in jail protesting outrageous things. There were riots due to racism in a city not too far from us, and she gathered everything she needed to head into the rioting city, to prepare the legal documents and cases to help get the people inevitably get out of jail the next day. She gathered granola bars, lanterns and batteries (in case of power outage), snacks, her suit for court, paperwork and specific books. I love that the Quakers fight for the freedoms of people. She talked about how it felt, being a white person driving into a city that had protests and police locking down black people. She saw her privilege right then and there – laid before her. She drove easily through police checkpoints in the middle of the riot to reach her District Attorney’s Office so she could stay up all night, preparing to get the protesters out of jail the next day. Quakers were an integral part of the Underground Railroad. We sing black gospel hymns like, “Follow the drinking gourd” in our Meeting. I have found out these hymns have hidden messages meant to help the slaves navigate the Underground Railroad. I feel like I am part of something really big. I am on a committee dedicated to helping work out the horrendous Mass Incarceration problem in our country. A Friend I know is working hard to create transitional housing for people who are being released from jail and don’t have an ID and can’t get a driver’s license or a job. Transitioning from jail to freedom is not easy at all. And there is no ½ way house for most of them. Feel free to look up the Friends Committee on National Legislation. They do very cool things. I am just starting to get active with this organization, and it’s very exciting. I don’t know that I necessarily think that Quakers are peaceful in the same way of what I thought it meant when I first walked in the door; Now I know they do fight – they absolutely fight – on the side of Justice. They are actively out in the community, fighting for people’s rights and freedoms, and they know that it takes time to change laws, but they work toward it (sometimes for decades, among huge resistance) and they don’t give up. Laws cannot be changed overnight, some can take years or decades, but the Quakers fight diligently and make progress on issues of injustice. I am finally learning how to be an activist. I am finally learning how to help my community. Quakers have also always accepted folks from the LGBTA+ community. So many kinds of churches turn away LGBTQ+ folks. I know a transgender woman, and she is fully accepted as a woman in the Quaker community – she attends our Annual Quaker Women’s Retreat. It is hard for us to rent a facility that meets our needs and also accepts LGBTQ+ folks. We have gay women who are married to each other who attend our retreat, and they are not welcome everywhere. But we work hard to find facilities that will rent to our retreat so these women will be accepted and able to attend. Friends of mine marched in the 2016 Washington, DC LGBTQ+ parade with banners held high from the different area Quaker Meeting Houses. And they manned a Quaker booth the next day at the LGBTQ+ festival. During my Christian Science branch church membership, I was always discouraged from going out into the community to find out what the people need and help them as a face of the Christian Science church. 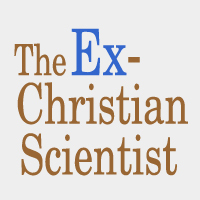 We wanted to do our annual lecture, to an audience of mostly other Christian Scientists, and the members felt like, “this is us fulfilling our duty.” They thought I was ridiculous to suggest that we actually DO something for the community. What should we do? I didn’t know. I had no guidance and didn’t know the issues. Everything I suggested was shot down again and again. In the Quaker Meeting, I hear about so many different things they are working on and being activists to help people in need. We even have the kids learning to be activists – they make 240 sandwiches and 120 lunches, once a month for the local homeless shelter. The kids love the activity, and it’s teaching them to do GOOD for the community. I love that all of the kids in the Meeting House are learning to serve the Community. It’s wonderful.